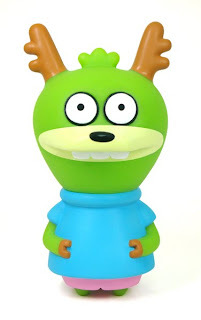 Roller the Reindeer is the latest figure in the ever-expanding Bossy Bear lineup by Uglydoll creator David Horvath. This 5-inch vinyl figure is made by Toy2R & is scheduled to release in July. 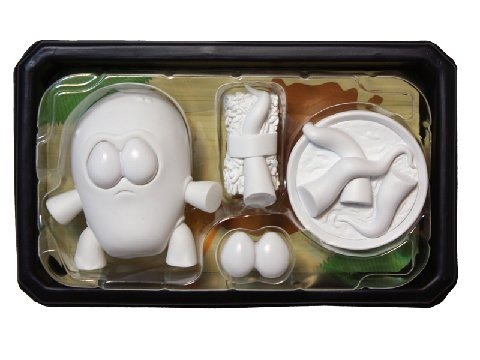 Retail price will be around $18. 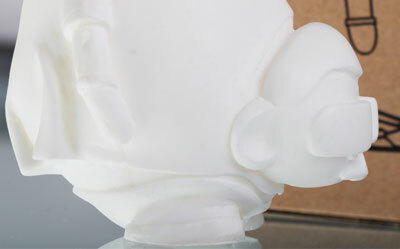 Will update this post with a link to the preorder once we get closer to having the actual products in stock. 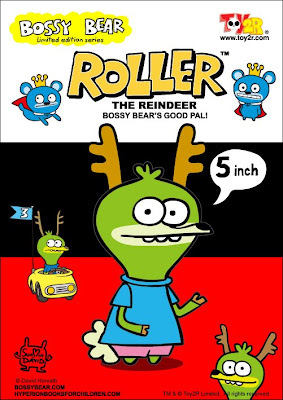 Roller the Reindeer attends flight school for reindeers up at the north pole...but Roller doesn't want to pull Santa's sleigh at all. No, he wants to move to LA to become a skateboard champion! You would never guess all this just from looking at him. RAJE Toys – G.N.O.M.E, originally uploaded by RAJE toys. 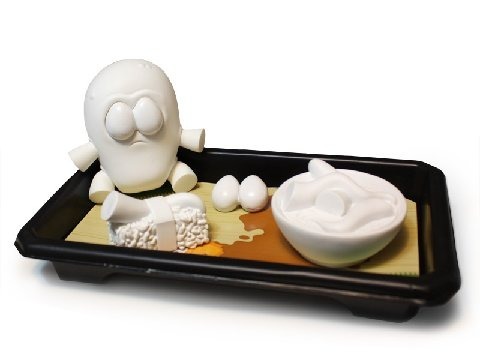 Sunday May 23rd and Monday May 24th we are offering 25% off any order of regular production toys (not good for custom pieces). We're in Manhattan, and sadly, space here is at a premium. We're full up with toys, and we need to clear out space for upcoming shipments. Spring cleaning! All you need to do is add the toys to your cart and paste the coupon code SPRINGY into the coupon code box, then click "Apply." Couldn't be easier! 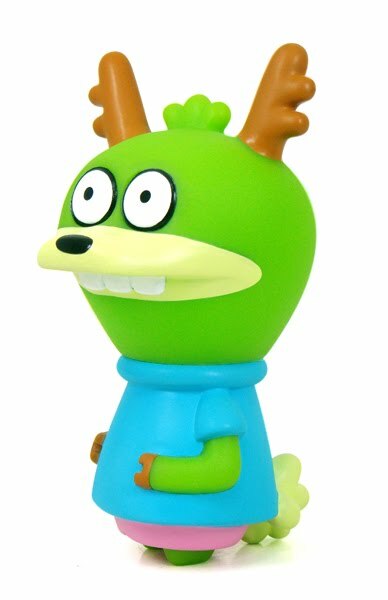 This code is good for Sunday May 23rd & Monday May 24th only, so make sure you log onto Tenacious Toys tomorrow and fill up that cart! PRO TIP: Check our Sale section for lots of items that are already discounted, and apply the coupon to them for extra savings! 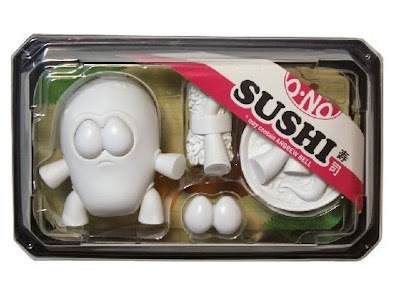 - Standard edition includes figure with articulated arms, legs and replaceable eyes, second set of eyes, 1 piece sushi and 1 bowl of tentacles. - Take-out tray packaging with usable sticker tray liner. Order here now for $22. THE BULL OF MINOS, originally uploaded by MR DEN. Den Ramos' "Bull of Minos Devours Mr Power" custom Mr. Power for the May 21 show at ToyQube. There are also PACO canvases and t-shirts available. He is a trouble but legendary man, he was born in a slum district in Milan, only with violence and poverty. 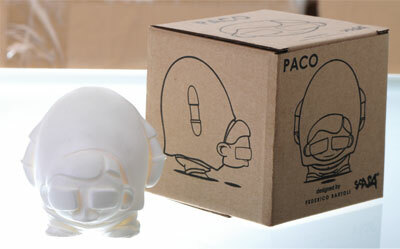 The life for PACO is really hard and unfortunate, he turned into dark side by this harsh atmosphere. After many years of theft, robbery, arson… he was arrested. The life of PACO is still not easy, he must camouflage everyday to escape from the prison. He has tried to fit as a bear, a tortoise, a horse…, but never succeed. PACO needs your help, bring him the best outfit to escape!